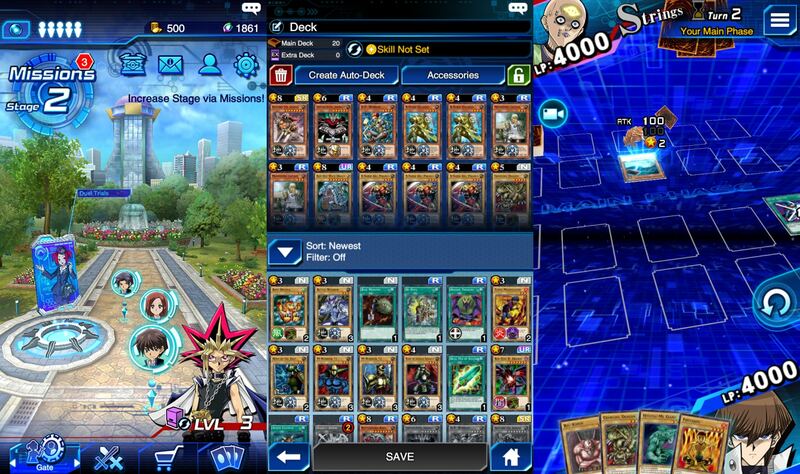 There's hundreds of collectible / trading card games on iPhone & Android phones, so we decided to pick our 10 favorites! CCGs make for the “ideal” cross-platform games, since it just makes sense to transfer PC card games to iPhones & smartphones. We will try to focus more on “phone exclusives” here though, since it’s not just the big franchises that are worth your game, or bus time! 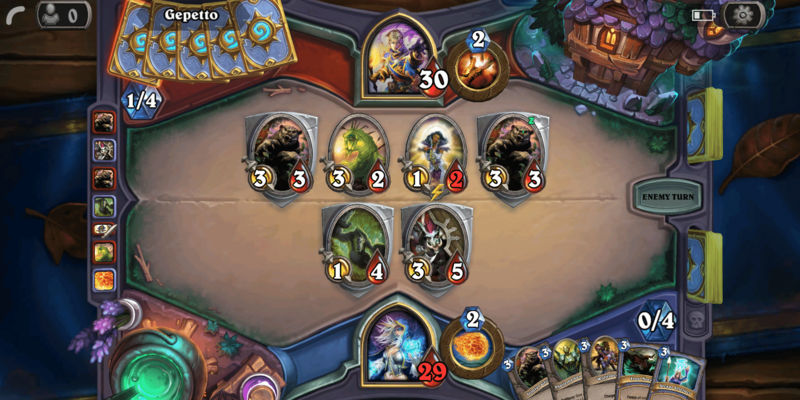 Hearthstone is a free to play card game developed by Blizzard and it is available both on Android and iOS. Starting from the tutorial you can understand the mechanics of the game. 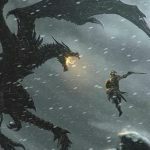 If you are new to the game you can choose an easy class without many combos (like a mage), in order to learn the game better. Summoning monsters or activating spells consumes mana. You can confront real opponents either in normal or ranked games and even join at the arena. Finally, the game is well organized with lots of cards and lots of effects and it’s very enjoyable especially when your friend is your opponent. 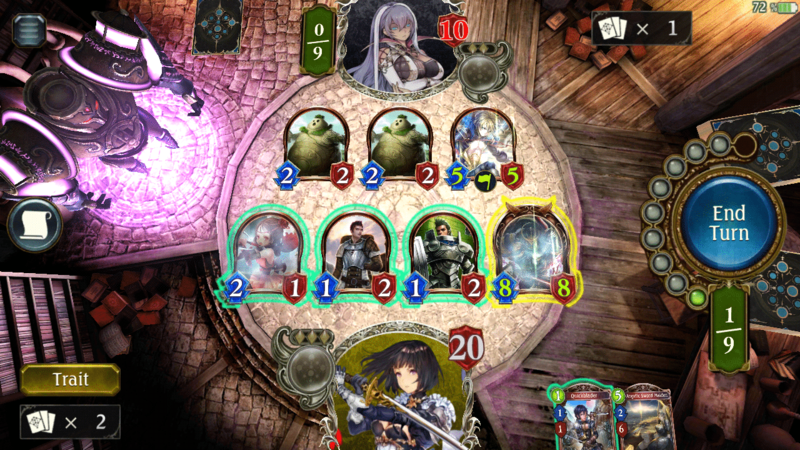 Shadowverse is a mobile card game developed by Cygames released in 2016. The game has a breathtaking anime art style and cool music. PvP is very good in which you can choose between ranked or arena, but the story is perfect. You can pick from a variety of leaders and each of them has his own minions. Summoning minions or casting spells consumes orbs. During the battle you can evolve your minions making them more powerful, but the number of evolving is limited. In my opinion, this game is very addictive for those who love card games. Eredan Arena is available on Android and iOS for free. It is a card game developed by Feerik Games. Eredan Arena is an enjoyable and addictive game with cool artwork. When you start, you may find it difficult to understand it but afterwards it is quite easy. You start battling against other players with only five cards where each monster has a different ability and to be able to activate it you have to roll 6 dices which have four symbols. To activate the ability, the symbols on the dices must match with the card’s symbols. You can re-roll your dices up to two times and you can choose which dice you will keep and which you will re-roll. Finally, you can level-up your monsters by giving them more power and a second ability to use. 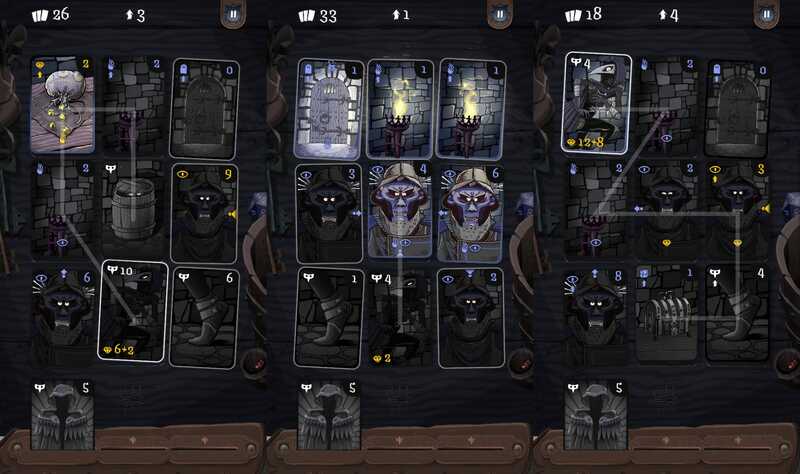 Card Thief is a strategy stealth card game, developed by Arnold Rauers. The main target is to steal the chest and escape without getting caught by the guards. In order to clear the game and overcome the obstacles you will need to carefully plan your movements. The game comes with a tutorial that helps you learn the basics but you have to play a few rounds so you can fully understand it. Lastly the game is very challenging, the graphics are stunning and the sound effects are perfect. The Yu-Gi-Oh! as we know it from our childhood through the series and games, now is available on Android and iOS for all of us to enjoy! The player can pick a bunch of different NPCs to duel against them. Accessing the gate allows the players to duel against characters we all remember from the anime like Yami Yugi, Joey and the others. As you move on, you can collect various cards for your deck from other Duelists or Card Packs that can be purchased from the in-game shop or from the in-game Card Trader. The game contains a PvP mode in which the players can duel with their friends or with players from around the world, chasing high ranks and prizes beside some spectacular animations and powerful monsters like Blue-Eyes White Dragon. Developed by Spoopy Squad, Underhand, is a single player card game, released in 2017. In this game you are the leader of a cult where you try to summon a god, so you can win the game. 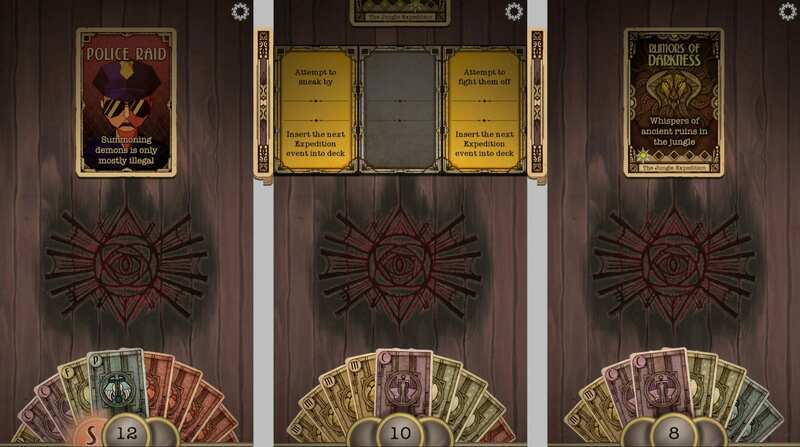 The cards are divided into the following categories: Money, Food, Cultist, Prisoner, Relic and Suspicion. The whole game is based on how you will manage your resources and succeed summoning the god. It is a game with cool artwork and sound. To summarize, Underhand is very challenging and a fun way to spend some hours. 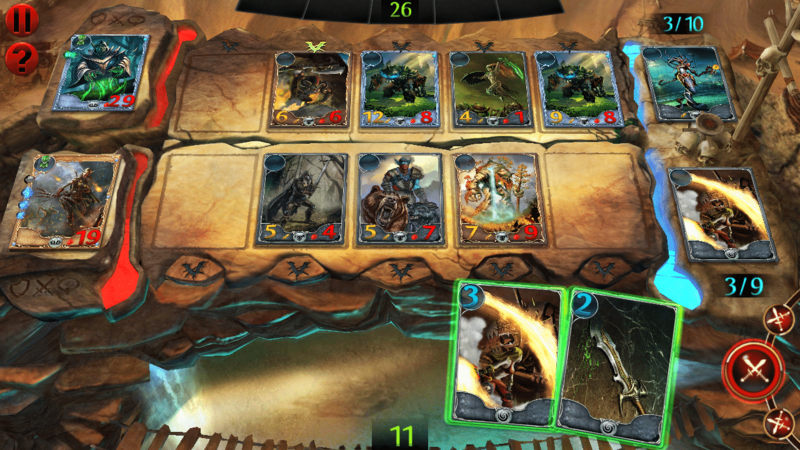 Drakenlords is a balanced free to play card game developed by Everguild Ltd and available both on Android and iOS. You start by choosing your warlord and each one of them has a unique effect and a starter deck. Beyond the PvP, the game offers you a campaign where you can collect cards and have amazing fights. Most of the minions have effects, summoning a minion or using effects consumes mana. Also, in the campaign you will find mines full of opponents and if you defeat them you can send your minions to farm gems that you can use at the shop. Finally, the game has great artwork and it is quite easy to learn. 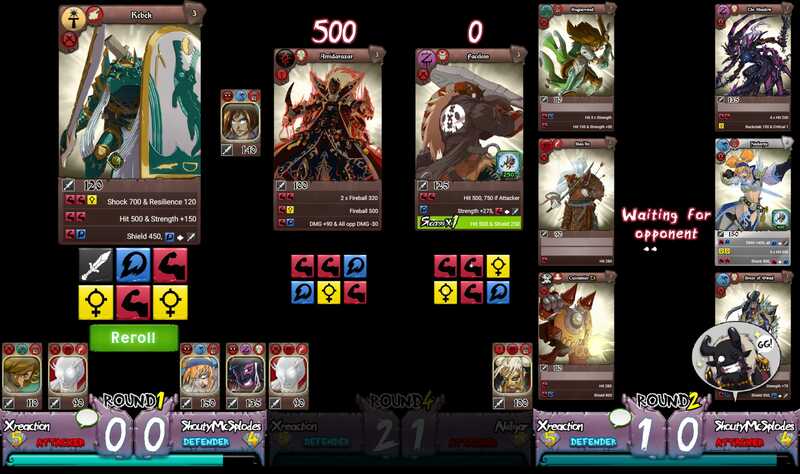 Deck Heroes: Legacy, a free mobile card game with some beautiful 2D graphics and sound, is developed by IGG and it is available on Android and iOS. When you start the game for first time you can play the tutorial so you can adjust to the circumstances. The cards have levels and a variety of effects, leveling a card make it more powerful. You can play the game through single player world and by battling other players in the Colosseum. The duration of every battle is fast which allows you to play a lot of them. At the end, the game is very addictive and challenging on it’s own way so you will not get bored. 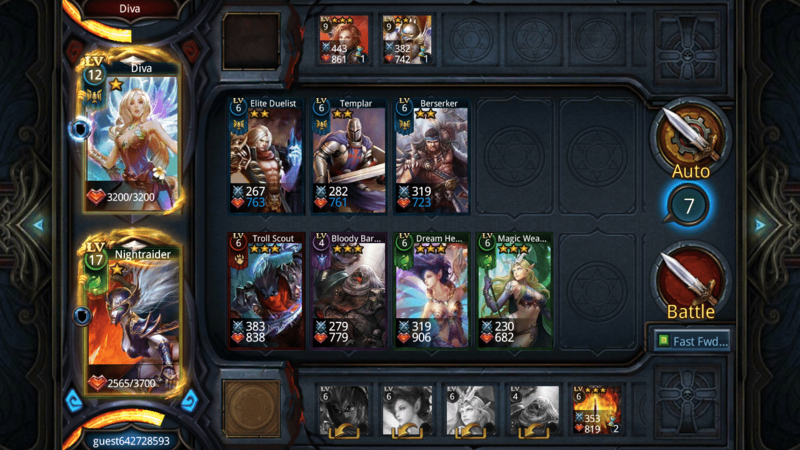 O&C Duels has been developed by Gameloft and it is a free card game for both Android and iOS. When you start, you can choose your character by a variety of races and classes all of which have a specific effect. The main goal is to fight the evil Velik and his followers so you can save the world. O&C Duels is a very easy to learn card game where every monster has attack points and life points and most of them have effects. To summon a monster or use a spell you have to consume mana and for that reason you have to think strategically. You can play the campaign but it also has multiplayer where you can duel with other players for a higher rank, a tower with rewards (if you complete it) and epic bosses. Finally, the game has very good graphics, the artwork is remarkable and the animations are beautiful. 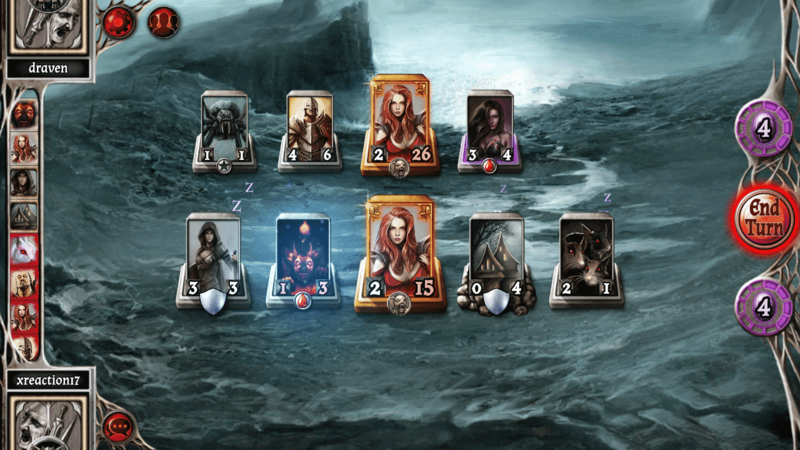 Shadow Era is a free to play collectible trading card game characterized by the amazing card artwork and deep strategy. You start by choosing your Hero from a list of plenty of heroes, each of them has a specific ability. The game gives you a starter deck where you can fight either AI or real- life opponents and by winning them you gain XP and Gold. You can improve your deck with cards that can be bought from the shop and build a powerful deck. 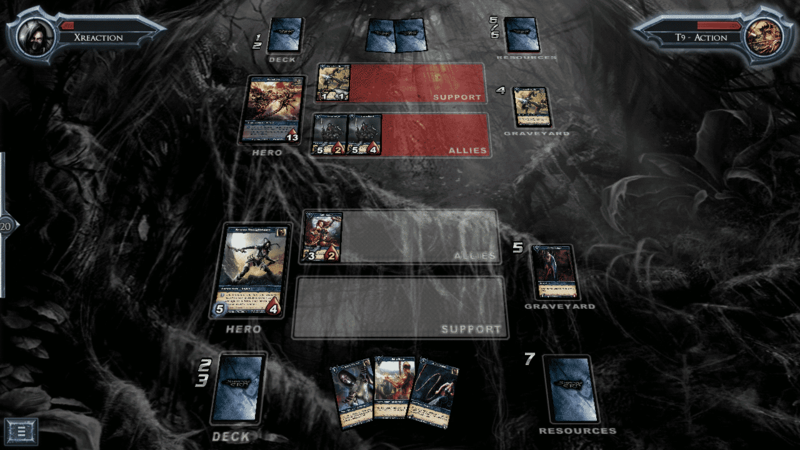 You can play a card by consuming resources which you can obtain by sacrificing a card at the start of your turn. To sum up, the game is very balanced, the cards have awesome effects and with a good strategy you can prevail.